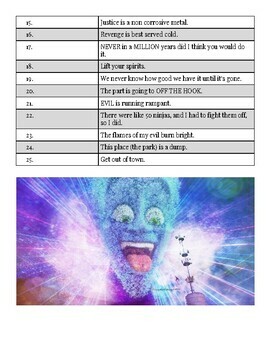 This is a Viewing Guide for the movie Megamind. It has 25 examples of figurative language from the movie. The directions are for students to pick 12 from the 25 and answer using the word box. Also included is a key to facilitate grading. Enjoy!